James Symonds is Professor of Historical Archaeology (North of the Alps) at the University of Amsterdam. His main research interests include the study of capitalism, colonialism, landscapes of Improvement and Diaspora, urban and industrial archaeology, and the archaeology of poverty. For the last 20 years he has concentrated on the historical archaeology of 18th and 19th century communities, with occasional forays into the 20th century. He is currently working on the archaeology of conflicts in 17th and 20th century Europe. Anna Badcock is Regional Director of Strategy and Development at ArcHeritage in Sheffield. She is interested in landscape approaches to archaeological practice, and is the editor of Ancient Uists: exploring the archaeology of the Outer Hebride (Western Isles Council, in press). Anna also specialises in contemporary archaeology and has published articles on the archaeology of industry, urban regeneration, protest and activism. Jeff Oliver is Senior Lecturer in Archaeology at the University of Aberdeen. He is the author of Landscapes and Social Transformations on the Northwest Coast: Colonial Encounters in the Fraser Valley (University of Arizona Press, 2010) and co-editor of Wild Signs: Graffiti in Archaeology and History (BAR, 2010). His research focuses on colonial landscapes in western Canada. More recently he has become involved in a project on the historical archaeology of nineteenth-century rural life in Scotland. This collection of essays draws inspiration from the late James Deetz’s In Small Things Forgotten (1977). Deetz’s seminal work broke new ground by using structuralist theory to show how artefacts reflected the ‘worldviews’ or idealogies of their makers and users, and claimed that the American colonial world had been structured according to a British intellectual blueprint, the so-called ‘Georgian Order’. His central premise, that the systematic study of mundane material objects such as tombstones, architecture, and furniture, can render palpable the intangible aspects of human cognition and belief systems, has become a fundamental tenet of modern historical archaeology. Drawing on James Deetz’s insight that everyday objects from the recent past are ‘freighted with social significance’ and that material culture operates alongside language as a system of communication, this book unravels specific cultural moments in well-documented historical periods across the modern world. 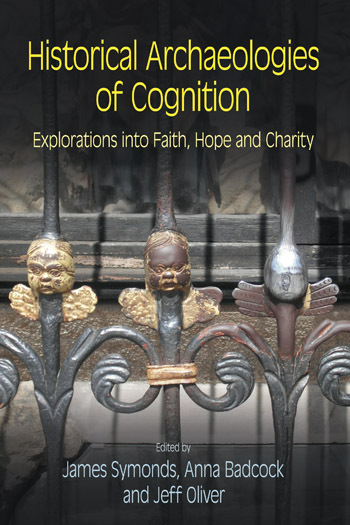 These studies range from the early 17th century to the late 20th century and employ theory from archaeology and anthropology to elucidate the complex links between human thought and action. 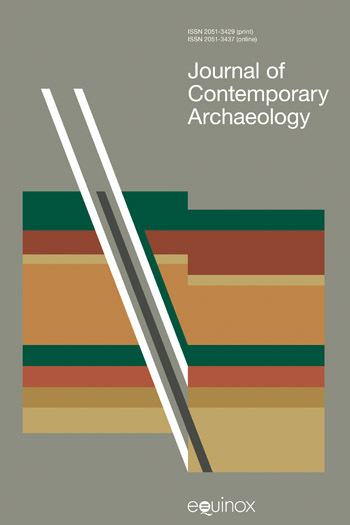 The authors, drawn from North America, Europe, and Australia, make a significant contribution to archaeological knowledge, moving beyond simple materialities to create human stories that transcend purely descriptive show-and-tell accounts of archaeological sites and allow taken-for-granted constructions of race, class and gender to be probed and challenged. This collection of essays draws inspiration from the late James Deetz’s In Small Things Forgotten (1977). Deetz’s seminal work broke new ground by using structuralist theory to show how artefacts reflected the ‘worldviews’ or idealogies of their makers and users, and claimed that the American colonial world had been structured according to a British intellectual blueprint, the so-called ‘Georgian Order’. His central premise, that the systematic study of mundane material objects such as tombstones, architecture, and furniture, can render palpable the intangible aspects of human cognition and belief systems, has become a fundamental tenet of modern historical archaeology. Drawing on James Deetz’s insight that everyday objects from the recent past are ‘freighted with social significance’ and that material culture operates alongside language as a system of communication, this book unravels specific cultural moments in well-documented historical periods across the modern world. These studies range from the early 17th century to the late 20th century and employ theory from archaeology and anthropology to elucidate the complex links between human thought and action. The authors, drawn from North America, Europe, and Australia, make a significant contribution to archaeological knowledge, moving beyond simple materialities to create human stories that transcend purely descriptive show-and-tell accounts of archaeological sites and allow taken-for-granted constructions of race, class and gender to be probed and challenged. The significance of this introductory chapter is twofold. First, it exposes an unsettling ambiguity, which threatens to challenge the received historical narrative of the colonization of Virginia by English Protestant settlers. And second, it exposes the craft of interpretive archaeology, revealing how archaeologists often implicitly create an ‘interpretive hierarchy’ in which less favoured interpretations are ‘glossed over in favour of a single, polished conclusion’ (p. 18). In this chapter, the authors discuss the meanings that the discovery of ancient religious artefacts, a lead crucifix, brass medallion, and two jet rosary beads, can evoke. The authors affirm that while historical events are generally documented in extensive detail, disconnects often exist between the written word and lived experiences. In recognition of this reality, and the polyvalent nature of meaning and identity, we argue that a multi-vocal approach is necessary in any attempt to access these entangled moments. Moreover, we recognize that due to the dialogical nature of fieldwork, interpretations and publications, the possibilities of the past are only bound by our own imaginations and interactions (after Joyce 2002). This paper investigates the landscape context of buildings and demonstrates how material culture was used to create cultural and political landscapes in and around the early modern small town of Tornio, in present day Northern Finland. The chapter serves to remind us that the colonization of the New World was only part of a far wider story of 17th-century European exploration and colonisation. In this chapter, the author investigates the 21-century redevelopment of Baltimore, MD, exposing the tensions that have emerged in the real estate-driven regeneration of that post-Industrial city. In this chapter, the author is interested in exploring the relationship between both sides in the colonizing relationships, examining connections between originating country and colonized place through the objects people used to clothe and adorn themselves. She compares finds from domestic sites in Portsmouth, New Hampshire, and London, England and concludes that residents of the former continued to follow British fashions and trends into the late eighteenth century. This chapter explores fashion and ideas of luxury and decency among Huguenot refugees to London, concluding that dalliance with luxury goods created tensions in the west London Huguenot community leading, ultimately, to decline in group cohesion and eventual assimilation into the ‘polite’ society of the host community. This chapter is dedicated to studying the religious landscape of gold rush Queensland and to excavations within the short-lived late nineteenth century boomtown of Paradise where the archaeological survey reveals evidence of Methodist missionary ideology. This chapter sets out to investigate the complexity of the ‘colonial experience’ in a detailed case study from south western British Columbia. Drawing on recent developments in postcolonial theory, the author explores how one group of colonized people responded to alien concepts. This chapter explores how the campaign of resistance carried out by Channel Islanders in their German internment camps,was made manifest in the internment camps using the medium of the body as the prime locus of (safe) expression, supplemented by symbolic statements constructed from the recycled contents of Red Cross parcels. This chapter discusses the incarceration of almost 120,000 Japanese Americans by the US government during World War II and in particular explores the numerous internee-built ornamental rock gardens which reflect undiminished Japanese ideals. This paper examines the significance of Long Kesh/Maze and its role in the recent conflict before exploring its evolution in character from a place associated with injustice and death to a potential symbol of hope. This chapter examines certain theological debates and how they were worked through in different denominations, using gravestone data from New England, Britain and Ireland and revealing links between theology and practice in commemorative traditions. This paper surveys the changing memories and meanings of World War 1, expressed through public commemorations and memorials in Exeter, Devon. 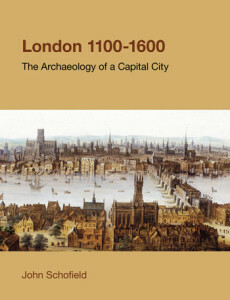 The range of techniques and theoretical models explored in this book demonstrate, in the words of David Gadsby, in his essay on contested public and private space in twenty-first century Baltimore (chapter 4), ‘how we can make heard the silent expressions of the archaeological record’ and use it ‘to change the way people think, and in turn change the way they talk to each other about the past’. This is highly relevant to many current debates about identity and planning, and the continual process of ‘the reconceptualising of heritage’. The relationship between tangible and intangible is a fascinating subject, and this book makes a valuable contribution to historical archaeology. It is certainly worth reading by anyone attempting to examine what people in the past were thinking. Each paper makes new and valuable contributions both to contemporary and historical archaeology and to the wider field. In my opinion, this book is a definite 'cover to cover' read, a very pleasing rarity among today's proliferation of edited volumes and published conference proceedings.